The first Zestee online Social Media School ran in 2012 and we’re pleased to announce that this year, this programme will be offered again, starting in early April. You can read more about the 2013 Social Media School, and you can reserve your spot now. Taking the whole 12 week course will offer the most benefits, but if you wish, you can also select to “pick and mix” modules. Term 1 begins on 07 April 2013 and ends 30 June 2013. Here is the full outline of modules. The dates is the week that module begins – though this is very flexible. You will be emailed the lesson on that date, but can work through it during the week at your own pace. 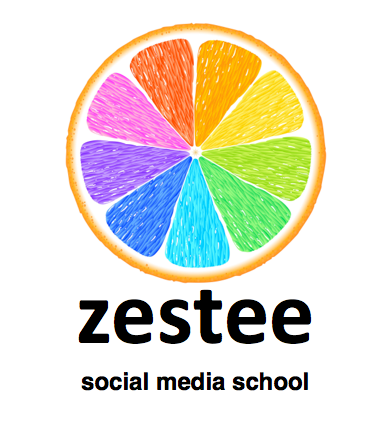 You can read more here about how does the Zestee Social Media School work? Book your place by 15 March for the discounted price of 100 euros via our shop. (If you’re not located in Europe, you can convert via PayPal to your local currency). I signed up for the free 12 week social media school (Through amsterdam Mamas) and forgot about it…. But now I am here again and cannot figure out how to get to the classes…help please. Thanks for your message, I’ve emailed you a response, let me know if you need any further help!